When the new city of Milton Keynes was planned in the 1960s, those searching for a name lighted on the ancient village of Milton Keynes, which was within the designated area and appeared to have attractive associations with the poet and economist. 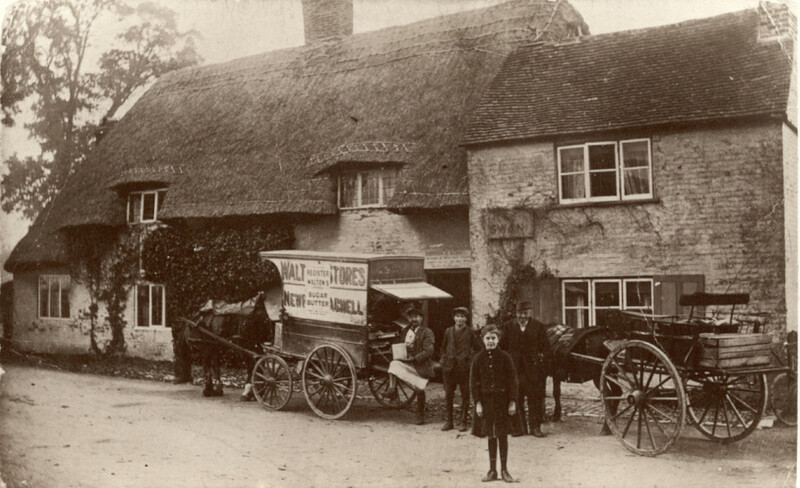 In fact, the village had been named in Saxon times, and appeared in the Domesday book as Mideltone. This meant the middle of three settlements or farmsteads, the other settlements probably being Bro(c)tone (Broughton) and Waltone (Walton). The Keynes suffix was added in the twelfth century when the Lords of the Manor were of the de Cahaignes (Keynes) Family. 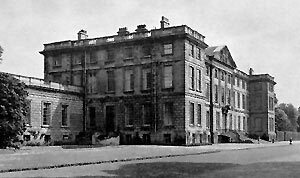 The first part of the name was gradually shortened to Milton, although some documents used the form Middleton right up to the nineteenth century. The Milton Keynes Development Corporation re-used the name Middleton for the ‘grid square’ in which the village sits, so things have come full circle! The Parish boundary of the village remained more or less unchanged until the year 2000 when the civil parishes were realigned to take account of the large increase in population associated with the development of the eastern flank of Milton Keynes. The original parish included the areas now occupied by the gridsquares of Pineham, Fox Milne, Northfield, Oakgrove, Middleton, Monkston Park, Monkston, Kents Hill, Kingston and Brinklow. The character of the village changed very little for some six hundred years before it was finally purchased by the Development Corporation for incorporation into the city. For most of that time, it had been owned by only two families. In the fourteenth, fifteenth and sixteenth centuries, the estate was owned by the Stafford family who sold out in 1658 to Heneage Finch and his son Daniel. The Finch’s home territory was the County of Kent, and they never lived permanently in the village even though they held the estate until just before the Second World War. The branch of the family which latterly held the village estate lived in a magnificent Palladian house at Burley on the Hill near Oakham in Rutland. The effect of their control of the villag e was that it was a ‘closed’ community, and changed very little for many hundreds of years. The only other land holder in the village was the church, and the Rectors were appointed by the Lords of the Manor! The Finch Family sold the estate in 1939, on the death of Wilfred Finch, the sole surviving male member of that branch of the family. It was purchased by William Mitchell, who sold out to the Society of Merchant Venturers of Bristol at the end of the Second World War. 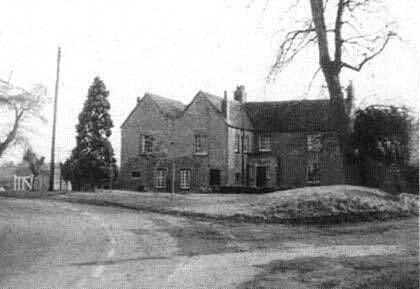 The Society held several estate villages in the area, and their estate office was for a time situated in Milton Keynes in the house called Sunnyside on Willen Road. When the new city was formed, the Society was able to sell to the Milton Keynes Development Corporation, and the village became a popular choice of residence for the early planners and for members of the newly formed Open University just down the road at Walton. Until the time of the Development Corporation, there were four large working farms in the village. Earlier there had been a number of small-holdings whose lands tended to have been absorbed into the larger farms as time passed. As a general rule, the tenancies meant that the farms held the fields adjacent to them, but this was not always the case. The farmhouses themselves were close to the centre of the village. This one, Brook Farm, held the land to the north east of the village up to the Broughton Brook – hence its name. For more information on the lands held by various farms, see the Farm Survey for 4 June 1941 and the feature on Fields and Farms through the ages.